The Maybelline New York BB Cream is enriched with micro minerals and is an 8-in-1 skin changer that performs eight important functions. 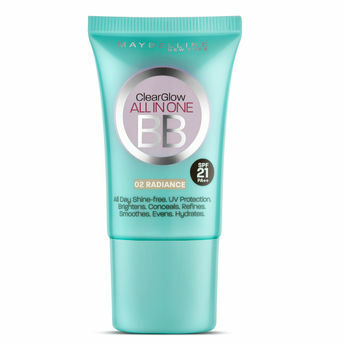 It brightens the skin and makes it glow, protects your skin from the sun and pollution, keeps it fresh, clarifies and evens tones your skin, moisturises and smoothes your skin, and conceals blemishes and dark spots making it look flawless and radiant. Explore the entire range of BB & CC Cream available on Nykaa. Shop more Maybelline New York products here.You can browse through the complete world of Maybelline New York BB & CC Cream .Alternatively, you can also find many more products from the Maybelline New York Clear Glow BB Cream range.